Breitner S, Peters A, Zareba W, Hampel R, Oakes D, Wiltshire J, Frampton MW, Hopke PK, Cyrys J, Utell MJ, Kane C, Schneider A, Rich DQ. "Ambient and controlled exposures to particulate air pollution and acute changes in heart rate variability and repolarization." Scientific reports.. 2019 Feb 13; 9(1):1946. Epub 2019 Feb 13. "Reply to "Studying reproducibility of data-driven Parkinson's disease subtypes"." Parkinsonism & related disorders.. 2018 Dec 28; Epub 2018 Dec 28. Oakes D. "Survival models and health sequences: discussion." Lifetime data analysis.. 2018 Jul 11; Epub 2018 Jul 11. Tanner C, Marder K, Eberly S, Biglan K, Oakes D, Shoulson I, . "Selected health and lifestyle factors, cytosine-adenine-guanine status, and phenoconversion in Huntington's disease." Movement disorders : official journal of the Movement Disorder Society.. 2018 Mar 0; 33(3):472-478. Epub 2018 Jan 03. Hersch SM, Schifitto G, Oakes D, Bredlau AL, Meyers CM, Nahin R, Rosas HD, . "The CREST-E study of creatine for Huntington disease: A randomized controlled trial." Neurology.. 2017 Aug 8; 89(6):594-601. Epub 2017 Jul 12. Jennings D, Siderowf A, Stern M, Seibyl J, Eberly S, Oakes D, Marek K, . "Conversion to Parkinson Disease in the PARS Hyposmic and Dopamine Transporter-Deficit Prodromal Cohort." JAMA neurology.. 2017 Aug 1; 74(8):933-940. Frank S, Stamler D, Kayson E, Claassen DO, Colcher A, Davis C, Duker A, Eberly S, Elmer L, Furr-Stimming E, Gudesblatt M, Hunter C, Jankovic J, Kostyk SK, Kumar R, Loy C, Mallonee W, Oakes D, Scott BL, Sung V, Goldstein J, Vaughan C, Testa CM, . "Safety of Converting From Tetrabenazine to Deutetrabenazine for the Treatment of Chorea." JAMA neurology.. 2017 Aug 1; 74(8):977-982. Quaid KA, Eberly SW, Kayson-Rubin E, Oakes D, Shoulson I, . "Factors related to genetic testing in adults at risk for Huntington disease: the prospective Huntington at-risk observational study (PHAROS)." Clinical genetics.. 2017 Jun 0; 91(6):824-831. Epub 2016 Nov 24. Biglan KM, Oakes D, Lang AE, Hauser RA, Hodgeman K, Greco B, Lowell J, Rockhill R, Shoulson I, Venuto C, Young D, Simuni T, . "A novel design of a Phase III trial of isradipine in early Parkinson disease (STEADY-PD III)." Annals of clinical and translational neurology.. 2017 Jun 0; 4(6):360-368. Epub 2017 May 09. Moss AJ, , . "Multicenter Cardiovascular Studies and Trials: Lessons Learned From 35 Years of Productive Collaboration." Journal of the American College of Cardiology.. 2016 Nov 15; 68(20):2232-2234. Wang M, Utell MJ, Schneider A, Zareba W, Frampton MW, Oakes D, Hopke PK, Wiltshire J, Kane C, Peters A, Breitner S, Chalupa D, Rich DQ. "Does total antioxidant capacity modify adverse cardiac responses associated with ambient ultrafine, accumulation mode, and fine particles in patients undergoing cardiac rehabilitation?" Environmental research.. 2016 Aug 0; 149:15-22. Epub 2016 May 10. Oakes, D. "On the win-ratio statistic in clinical trials with multiple types of event". Biometrika. 2016; 103(3): 742-745. Kurlan R, Ravina B, Eberly S, Lang AE, Tanner CM, Marek K, Marder K, Beck J, Elliott R, Oakes D, Shoulson I, . "Early Clinical Predictors of Treatment-Resistant and Functional Outcomes in Parkinson's Disease." Movement disorders clinical practice.. 2016 3(1):53-58. Epub 2015 Dec 14. Locascio JJ, Eberly S, Liao Z, Liu G, Hoesing AN, Duong K, Trisini-Lipsanopoulos A, Dhima K, Hung AY, Flaherty AW, Schwarzschild MA, Hayes MT, Wills AM, Shivraj Sohur U, Mejia NI, Selkoe DJ, Oakes D, Shoulson I, Dong X, Marek K, Zheng B, Ivinson A, Hyman BT, Growdon JH, Sudarsky LR, Schlossmacher MG, Ravina B, Scherzer CR. "Association between ?-synuclein blood transcripts and early, neuroimaging-supported Parkinson's disease." Brain : a journal of neurology.. 2015 Sep 0; 138(Pt 9):2659-71. Epub 2015 Jul 28. Benhorin J, Bodenheimer M, Brown M, Case R, Dwyer EM, Eberly S, Francis C, Gillespie JA, Goldstein RE, Greenberg H, Haigney M, Krone RJ, Klein H, Lichstein E, Locati E, Marcus FI, Moss AJ, Oakes D, Ryan DH, Bloch Thomsen PE, Zareba W, . "Improving clinical practice guidelines for practicing cardiologists." The American journal of cardiology.. 2015 Jun 15; 115(12):1773-6. Epub 2015 Mar 24. Farmpton, M.W. ; Pietropaoli, A., Dentler, M.; Chalupa, D; Little, E. L; Stewart L.; Frasier, M.; Oakes, D.; Wiltshire, J.; Vora, R.; and Utell, M.J. "Cardiovascualr effects of ozone in healthy subjects with and without deletion of glutathione S-transferase M1." Inhalation Toxicology. 2015; 27: 113-119. Oster E, Eberly SW, Dorsey ER, Kayson-Rubin E, Oakes D, Shoulson I. "Informativeness of Early Huntington Disease Signs about Gene Status." Journal of Huntington's disease.. 2015 4(3):271-7. Jennings D, Siderowf A, Stern M, Seibyl J, Eberly S, Oakes D, Marek K, . "Imaging prodromal Parkinson disease: the Parkinson Associated Risk Syndrome Study." Neurology.. 2014 Nov 4; 83(19):1739-46. Epub 2014 Oct 08. Wasserman EB, Zareba W, Utell MJ, Oakes D, Hopke PK, Frampton M, Chalupa D, Beckett W, Rich DQ. "Acute Changes in Ambient Temperature Are Associated With Adverse Changes in Cardiac Rhythm." Air quality, atmosphere, & health.. 2014 Sep 1; 7(3):357-367. Marek K, Seibyl J, Eberly S, Oakes D, Shoulson I, Lang AE, Hyson C, Jennings D, . "Longitudinal follow-up of SWEDD subjects in the PRECEPT Study." Neurology.. 2014 May 20; 82(20):1791-7. Epub 2014 Apr 23.
, Beal MF, Oakes D, Shoulson I, Henchcliffe C, Galpern WR, Haas R, Juncos JL, Nutt JG, Voss TS, Ravina B, Shults CM, Helles K, Snively V, Lew MF, Griebner B, Watts A, Gao S, Pourcher E, Bond L, Kompoliti K, Agarwal P, Sia C, Jog M, Cole L, Sultana M, Kurlan R, Richard I, Deeley C, Waters CH, Figueroa A, Arkun A, Brodsky M, Ondo WG, Hunter CB, Jimenez-Shahed J, Palao A, Miyasaki JM, So J, Tetrud J, Reys L, Smith K, Singer C, Blenke A, Russell DS, Cotto C, Friedman JH, Lannon M, Zhang L, Drasby E, Kumar R, Subramanian T, Ford DS, Grimes DA, Cote D, Conway J, Siderowf AD, Evatt ML, Sommerfeld B, Lieberman AN, Okun MS, Rodriguez RL, Merritt S, Swartz CL, Martin WR, King P, Stover N, Guthrie S, Watts RL, Ahmed A, Fernandez HH, Winters A, Mari Z, Dawson TM, Dunlop B, Feigin AS, Shannon B, Nirenberg MJ, Ogg M, Ellias SA, Thomas CA, Frei K, Bodis-Wollner I, Glazman S, Mayer T, Hauser RA, Pahwa R, Langhammer A, Ranawaya R, Derwent L, Sethi KD, Farrow B, Prakash R, Litvan I, Robinson A, Sahay A, Gartner M, Hinson VK, Markind S, Pelikan M, Perlmutter JS, Hartlein J, Molho E, Evans S, Adler CH, Duffy A, Lind M, Elmer L, Davis K, Spears J, Wilson S, Leehey MA, Hermanowicz N, Niswonger S, Shill HA, Obradov S, Rajput A, Cowper M, Lessig S, Song D, Fontaine D, Zadikoff C, Williams K, Blindauer KA, Bergholte J, Propsom CS, Stacy MA, Field J, Mihaila D, Chilton M, Uc EY, Sieren J, Simon DK, Kraics L, Silver A, Boyd JT, Hamill RW, Ingvoldstad C, Young J, Thomas K, Kostyk SK, Wojcieszek J, Pfeiffer RF, Panisset M, Beland M, Reich SG, Cines M, Zappala N, Rivest J, Zweig R, Lumina LP, Hilliard CL, Grill S, Kellermann M, Tuite P, Rolandelli S, Kang UJ, Young J, Rao J, Cook MM, Severt L, Boyar K. "A randomized clinical trial of high-dosage coenzyme Q10 in early Parkinson disease: no evidence of benefit." JAMA neurology.. 2014 May 0; 71(5):543-52. Vora, R.; Zareba, W.; Utell, M.J.; Pietropaoli, A.; Chalupa, D.; Little, E.; Oakes, D.; Bausch, J.; Wiltshire, J;, Frampton, M. "Inhalation of ultrafine aprticles alters heart rate and heart rate variability in people with type II dibetes." Particle and Fibre Technology. 2014; 11(31). Oakes D. "An introduction to survival models: in honor of Ross Prentice." Lifetime data analysis.. 2013 Oct 0; 19(4):442-62. Epub 2013 Jul 06. "Characterization of the Huntington intermediate CAG repeat expansion phenotype in PHAROS." Neurology.. 2013 May 28; 80(22):2022-7. Epub 2013 Apr 26. "Senior academic physicians and retirement considerations." Progress in cardiovascular diseases.. 2013 55(6):611-5. Epub 2013 Mar 21. Moss AJ, Schuger C, Beck CA, Brown MW, Cannom DS, Daubert JP, Estes NA, Greenberg H, Hall WJ, Huang DT, Kautzner J, Klein H, McNitt S, Olshansky B, Shoda M, Wilber D, Zareba W, . "Reduction in inappropriate therapy and mortality through ICD programming." The New England journal of medicine.. 2012 Dec 13; 367(24):2275-83. Epub 2012 Nov 06. Rich DQ, Zareba W, Beckett W, Hopke PK, Oakes D, Frampton MW, Bisognano J, Chalupa D, Bausch J, O'Shea K, Wang Y, Utell MJ. "Are ambient ultrafine, accumulation mode, and fine particles associated with adverse cardiac responses in patients undergoing cardiac rehabilitation?" Environmental health perspectives.. 2012 Aug 0; 120(8):1162-9. Epub 2012 Apr 27. Marras C, Oakes D. "Piecing together the puzzle of progression and mortality in Parkinson's disease." British journal of clinical pharmacology.. 2012 Aug 0; 74(2):264-6. Siderowf A, Jennings D, Eberly S, Oakes D, Hawkins KA, Ascherio A, Stern MB, Marek K, . "Impaired olfaction and other prodromal features in the Parkinson At-Risk Syndrome Study." Movement disorders : official journal of the Movement Disorder Society.. 2012 Mar 0; 27(3):406-12. Epub 2012 Jan 11. Dorsey R, Biglan K, Eberly S, Auinger P, Brocht A, Umeh CC, Oakes D, Clarence-Smith K, Marshall F, Shoulson I, Frank S. "Use of Tetrabenazine in Huntington Disease Patients on Antidepressants or with Advanced Disease: Results from the TETRA-HD Study." PLoS currents.. 2011 Nov 13; 3:RRN1283. Epub 2011 Nov 13. Huang, X.; Auinger, P.; Eberly, S.; Oakes, D.; Schwarzschild, M.; Acherio, A.; Mailman, R.; Chen, H. for the Parkinson Study Group DATATOP Investigators. "Serum Cholesterol and Progression of Parkinson's Disease: Results from DATATOP". PLoS ONE. 2011; 6(8): e22854. Schwarzschild, M.A. ; Marek, K.; Eberly, S.; Oakes, D.; Shoulson, I.; Jennings, D.; Seibyl, J.; Ascherio, A. on behalf of the Parkinson Study Group PRECEPT Investigators. "Serum Urate and Probability of Dopaminergic Deficit in Early "Parkinson's Disease"". Movement Disorders. 2011; 26(10): 1864-1868. Pietropaoli AP, Glance LG, Oakes D, Fisher SG. "Gender differences in mortality in patients with severe sepsis or septic shock." Gender medicine : official journal of the Partnership for Gender-Specific Medicine at Columbia University. 2010 Oct 0; 7(5):422-37. Foster DC, Kotok MB, Huang LS, Watts A, Oakes D, Howard FM, Poleshuck EL, Stodgell CJ, Dworkin RH. "Oral desipramine and topical lidocaine for vulvodynia: a randomized controlled trial." Obstetrics and gynecology.. 2010 Sep 0; 116(3):583-93. Oakes D, Feng C. "Combining stratified and unstratified log-rank tests in paired survival data." Statistics in medicine.. 2010 Jul 20; 29(16):1735-45. Pietropaoli, A.P. ; Glance, L.G. ; Oakes, D.; Fisher, S.G. "Gender Differences in Mortality in Patients with Severe Sepsis or Septic Shock". Gender Medicine. 2010; 7(5): 422-437. Schwid, S.R. ; Bausch, J.; Oakes, D.; Schuchter, L.; Tanner, C.; Forrest, M.; Ondrasik, J.; Lang, A.E. ; Shoulson, I.; the PSG PRECEPT Investigators. "Cancer Incidence in a trial of an apoptotic agent for Parkinson's disease". Movement Disorders. 2010; 25(12): 1801-1808. Biglan KM, Ross CA, Langbehn DR, Aylward EH, Stout JC, Queller S, Carlozzi NE, Duff K, Beglinger LJ, Paulsen JS, . "Motor abnormalities in premanifest persons with Huntington's disease: the PREDICT-HD study." Movement disorders : official journal of the Movement Disorder Society.. 2009 Sep 15; 24(12):1763-72. Saperstein S, Chen L, Oakes D, Pryhuber G, Finkelstein J. "IL-1beta augments TNF-alpha-mediated inflammatory responses from lung epithelial cells." Journal of interferon & cytokine research : the official journal of the International Society for Interferon and Cytokine Research.. 2009 May 0; 29(5):273-84. Foster DC, Kotok MB, Huang LS, Watts A, Oakes D, Howard FM, Stodgell CJ, Dworkin RH. "The tampon test for vulvodynia treatment outcomes research: reliability, construct validity, and responsiveness." Obstetrics and gynecology.. 2009 Apr 0; 113(4):825-32. Marder, K.; Zhao, H.; Eberly, S.; Tanner, C.M. ; Oakes, D.; Shoulson, I.; Huntington Study Group. "Dietary Intake in Adults at Risk for Huntington Disease: Analysis of PHAROS Research Participants". Neurology. 2009; 73(5): 385-392. Dorsey ER, Beck CA, Adams M, Chadwick G, de Blieck EA, McCallum C, Briner L, Deuel L, Clarke A, Stewart R, Shoulson I, . "Communicating clinical trial results to research participants." Archives of neurology.. 2008 Dec 0; 65(12):1590-5. Schifitto G, Friedman JH, Oakes D, Shulman L, Comella CL, Marek K, Fahn S, . "Fatigue in levodopa-naive subjects with Parkinson disease." Neurology.. 2008 Aug 12; 71(7):481-5. Oakes D, Peterson DR. "Survival methods: additional topics." Circulation.. 2008 Jun 3; 117(22):2949-55. Paulsen, J.; Langbehn, D.R. ; Stout, J.C.; Aylward, E.; Ross, C.A. ; Nance, M.; Guttman, M.; Johnson, S.; MacDonald, M.; Beglinger, L.J. ; Duff, K.; Kayson, E.; Biglan, K.; Shoulson, I.; Oakes, D.; Hayden, M.; The Predict-HD Investigators and Coordinators of the Huntington Study Group. "Detection of Huntington's disease decades before diagnosis: The Predict-HD study." Journal of Neurology, Neurosurgery and Psychiatry. 2008; 79(8): 874-880. Oster, E.; Dorsey, E.R. ; Bausch, J.; Shinaman, M.A. ; Kayson, E.; Oakes, D.; Shoulson, I.; Quaid, K.; The Huntington Study Group PHAROS Investigators. "Fear of health insurance loss among individuals at risk of Huntington's disease". American Journal of Medical Genetics Part A. 2008; 146A(16): 2070-2077. Schwarzschild, M.A. ; Schwid, S.R. ; Marek, K.; Watts, A.; Lang, A.E. ; Oakes, D.; Shoulson, I.; Ascherio, A.; The Parkinson Study Group PRECEPT Investigators. "1!Serum urate as a predictor of clinical and radiographic progression in Parkinson;s disease". Archives of Neurology. 2008; 65(6): 716-723. Solomon, A.C.; Stout, J.C.; Johnson, S.A.; Langbehn, D.R. ; Aylward, E.H.; Brandt, L.; Ross, C.A. ; Beglinger, L.; Hayden, M.R. ; Kieburtz, K.:, Kayson, E.; Julian-Barosi, E.; Duff, K.; Guttman, M.; Nance M.; Oakes, D.; Shoulson, I.; Penziner, E.; Paulsen, J.S. ; The Predict-HD investigators of the Huntington Study Group. "Verbal episodic memory declines prior to diagnosis in Huntington's disease". Neuropsychologia. 2007; 45(8): 1767-1776. Moss AJ, Ryan D, Oakes D, Goldstein RE, Greenberg H, Bodenheimer MM, Brown MW, Case RB, Dwyer EM, Eberly SW, Francis CW, Gillespie JA, Krone RJ, Lichstein E, MacCluer JW, Marcus FI, McCarthy J, Sparks CE, Zareba W. "Atherosclerotic risk genotypes and recurrent coronary events after myocardial infarction." The American journal of cardiology.. 2005 Jul 15; 96(2):177-82. Kaba NK, Francis CW, Moss AJ, Zareba W, Oakes D, Knox KL, Fernández ID, Rainwater DL, . "Effects of lipids and lipid-lowering therapy on hemostatic factors in patients with myocardial infarction." Journal of thrombosis and haemostasis : JTH.. 2004 May 0; 2(5):718-25. Howard CR, Howard FM, Lanphear B, Eberly S, deBlieck EA, Oakes D, Lawrence RA. "Randomized clinical trial of pacifier use and bottle-feeding or cupfeeding and their effect on breastfeeding." Pediatrics.. 2003 Mar 0; 111(3):511-8. McDermott MP, Hall WJ, Oakes D, Eberly S. "Design and analysis of two-period studies of potentially disease-modifying treatments." Controlled clinical trials. 2002 Dec 0; 23(6):635-49. Harb TS, Zareba W, Moss AJ, Ridker PM, Marder VJ, Rifai N, Miller Watelet LF, Arora R, Brown MW, Case RB, Dwyer EM, Gillespie JA, Goldstein RE, Greenberg H, Hochman J, Krone RJ, Liang CS, Lichstein E, Little W, Marcus FI, Oakes D, Sparks CE, VanVoorhees L, . "Association of C-reactive protein and serum amyloid A with recurrent coronary events in stable patients after healing of acute myocardial infarction." The American journal of cardiology.. 2002 Jan 15; 89(2):216-21. Phatak PD, Ryan DH, Cappuccio J, Oakes D, Braggins C, Provenzano K, Eberly S, Sham RL. "Prevalence and penetrance of HFE mutations in 4865 unselected primary care patients." Blood cells, molecules & diseases.. 2002 29(1):41-7. Lichtman MA, Oakes D. "The productivity and impact of the Leukemia &amp; Lymphoma Society Scholar Program: the apparent positive effect of peer review." Blood cells, molecules & diseases.. 2001 27(6):1020-7. Watelet LF, Moss AJ, Zareba W, Oakes D, Ryan D. "Detection of a group of risk factors in coronary disease using a new carriership analysis approach." The American journal of cardiology.. 2000 Dec 1; 86(11):1253-6, A6. Baggs JG, Schmitt MH, Mushlin AI, Mitchell PH, Eldredge DH, Oakes D, Hutson AD. "Association between nurse-physician collaboration and patient outcomes in three intensive care units." Critical care medicine.. 1999 Sep 0; 27(9):1991-8. Moss AJ, Goldstein RE, Marder VJ, Sparks CE, Oakes D, Greenberg H, Weiss HJ, Zareba W, Brown MW, Liang CS, Lichstein E, Little WC, Gillespie JA, Van Voorhees L, Krone RJ, Bodenheimer MM, Hochman J, Dwyer EM, Arora R, Marcus FI, Watelet LF, Case RB. "Thrombogenic factors and recurrent coronary events." Circulation.. 1999 May 18; 99(19):2517-22. Oakes, D. "Direct calculation of the information matrix via the EM algorithm". Journal of the Royal Statistical Society. 1999; 61: 479-482. Parkinson Study Group (D. Oakes, Chief Biostatistician). "Low dose clozapine for the treatment of drug-induced psychosis in Parkinson's Disease: results of the double-blind placebo-controlled PSYCLOPS trial." New England Journal of Medicine. 1999; : 757-763. Shetty, N., Friedman, J.H., Kieburtz, K., Marshall, F.J., Oakes, D., and the Parkinson Study Group. "The Placebo Response in Parkinson's Disease." Clinical Neuropharmacology. 1999; 4: 207-212. Manatunga, A.K. and Oakes, D. "Parametric analysis of matched pairs survival data." Lifetime Data Analysis. 1999; 5: 371-387. Baggs, J.G., Schmitt, M.H., Muslin, A.I., Mitchell, P.H., Eldredge, D.H., Oakes, D. and Hutson, A.D. "The association between nurse-physician collaboration and patient outcomes in 3 intensive care units." Critical Care Medicine. 1999; 27: 1991-1998. Moss, A.J., Goldstein, R.E., Marder, V.J., Sparks, C.E., Oakes, D., Greenberg, H., Weiss, H.J., Zareba, W., Brown, M.W., Chang-Seng, L., Lichstein, E., Little, W.C., Gillespie, J.A., Van Voorhees, L., Krone, R.J., Bodenheimer, M.M., Hochman, J., Dwyer, E.M. Jr., Arora, R., Marcus, F.I., Miller Watelet, L.F., Case, R.B. "Thrombogenic Factors and Recurrent Coronary Events." Circulation. 1999; 99: 2517-2522. Huntington Study Group (D. Oakes, Chief Biostatistician). "Safety and tolerability of the free-radical scavenger OPC-14117 in Huntington's disease." Neurology. 1998; 50: 1366-1373. Parkinson Study Group (D. Oakes, Chief Biostatistician). "Mortality in DATATOP: a multicenter trial in early Parkinson's disease." Annals of Neurology. 1998; : 318-325. Lin, D.Y., Oakes, D. and Ying, Z. "Additive hazards regression with current status data." Biometrika. 1998; 85: 289-298. Shoulson, I. 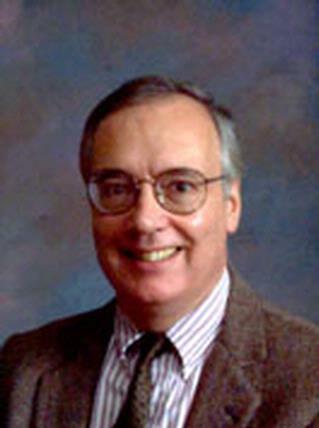 And the Parkinson Study Group (D. Oakes, Chief Biostatistician). "DATATOP: A decade of neuroprotective inquiry." Annals of Neurology. 1998; 85: S100-S166. Oakes, D. and Jeong, J.-H. "Frailty models and rank tests." Lifetime Data Analysis. 1998; : 209-228. Oakes D, Jeong JH. "Frailty models and rank tests." Lifetime data analysis.. 1998 4(3):209-28. Baggs JG, Schmitt MH, Mushlin AI, Eldredge DH, Oakes D, Hutson AD. "Nurse-physician collaboration and satisfaction with the decision-making process in three critical care units." American journal of critical care : an official publication, American Association of Critical-Care Nurses.. 1997 Sep 0; 6(5):393-9. Bonnez W, Oakes D, Bailey-Farchione A, Choi A, Hallahan D, Corey L, Barnum G, Pappas PG, Halloway M, Stoler MH, Reichman RC. "A randomized, double-blind trial of parenteral low dose versus high dose interferon-beta in combination with cryotherapy for treatment of condyloma acuminatum." Antiviral research.. 1997 Jun 0; 35(1):41-52. Emond, M.J., Ritz, J. and Oakes, D. "Bias in GEE estimates of population average parameters from longitudinal data." Communications in Statistics. 1997; 26: 15-32. LeWitt, P., Oakes, D., Cui, L., and the Parkinson Study Group. "The need for levodopa as an endpoint of Parkinson's Disease progression in a clinical trial of selegiline and alpha-tocopherol." Movement Disorders. 1997; 12: 183-189. Bonnez, W., Oakes, D., Bailey-Farchione, A., Choi, A., Hallahan, D., Corey, L., Barnum, G., Pappas, P.G., Halloway, M., Stoler, M.H. and Reichman, R.C. "A randomized, double-blind trial of parenteral low dose versus high dose interferon-² in combination with cryotherapy for treatment of condyloma acuminatum." Antiviral Research. 1997; 35: 41-52. Baggs, J.G., Schmitt, M.H., Mushlin, A.I., Eldredge, D.H., Oakes, D. and Hutson, A. "Nurse-physician collaboration and satisfaction with the decision-making process in three critical care units." American Journal of Critical Care. 1997; 6: 393-399. Parkinson Study Group. (D. Oakes, Chief Biostatistician). "Impact of deprenyl and tocopherol treatment on Parkinson's disease in DATATOP patients not requiring levodopa." Annals of Neurology. 1996; 39(1): 37-45. Parkinson Study Group. (D. Oakes, Chief Biostatistician). "Impact of deprenyl and tocopherol treatment on Parkinson's disease in DATATOP subjects requiring levodopa." Annals of Neurology. 1996; 39(1): 29-36. Manatunga, A.K. and Oakes, D. "A measure of association for bivariate frailty distributions." Journal of Multivariate Analysis. 1996; 56(1): 60-74. Bonnez, W., Oakes, D., Choi, A., D'Arcy, S.J., Pappas, P.G., Corey, L., Stoler, M.H., Demeter, L.M. and Reichman, R.C. "Therapeutic efficacy and complications of excisional biopsy of condyloma acuminatum." Sexually Transmitted Diseases. 1996; 23(4): 273-276. Bonnez W, Oakes D, Choi A, d'Arcy SJ, Pappas PG, Corey L, Stoler MH, Demeter LM, Reichman RC. "Therapeutic efficacy and complications of excisional biopsy of condyloma acuminatum." Sexually transmitted diseases.. 1996 23(4):273-6. Bonnez W, Oakes D, Bailey-Farchione A, Choi A, Hallahan D, Pappas P, Holloway M, Corey L, Barnum G, Dunne A. "A randomized, double-blind, placebo-controlled trial of systemically administered interferon-alpha, -beta, or -gamma in combination with cryotherapy for the treatment of condyloma acuminatum." The Journal of infectious diseases.. 1995 May 0; 171(5):1081-9. Parkinson Study Group. (D. Oakes, Chief Biostatistician). "Cerebrospinal fluid homovanillic acid in the DATATOP study on Parkinsons disease." Archives of Neurobiology. 1995; 52: 237-245. Oakes D. "Multiple time scales in survival analysis." Lifetime data analysis.. 1995 1(1):7-18. "A controlled trial of lazabemide (Ro 19-6327) in levodopa-treated Parkinson's disease. Parkinson Study Group." Archives of neurology.. 1994 Apr 0; 51(4):342-7. Oakes, D. and Cui, L. "A note on semiparametric inference for modulated renewal processes." Biometrika. 1994; 81: 83-90. Oakes, D. "Multivariate survival distributions." Nonparametric Statistics. 1994; 3: 343-354. "A controlled trial of lazabemide (RO19-6327) in untreated Parkinson's disease. Parkinson Study Group." Annals of neurology.. 1993 Apr 0; 33(4):350-6. "Effects of tocopherol and deprenyl on the progression of disability in early Parkinson's disease." The New England journal of medicine.. 1993 Jan 21; 328(3):176-83. Oakes, D. "A note on the Kaplan-Meier estimator." American Statistician. 1993; 47: 39-40. Oakes, D., Moss, A.J., Fleiss, J.L., Bigger, J.T., Therneau, T., Eberly, S.W., McDermott, M.P., Manatunga, A., Carleen, E., Benhorin, J. and the Multicenter Diltiazem Post-Infarction Trial Research Group. "Use of compliance measures in an analysis of the effect of diltiazem on mortality and reinfarction after myocardial infarction." Journal of the American Statistical Association. 1993; 88: 44-49. LeWitt PA, Galloway MP, Matson W, Milbury P, McDermott M, Srivastava DK, Oakes D. "Markers of dopamine metabolism in Parkinson's disease. The Parkinson Study Group." Neurology.. 1992 Nov 0; 42(11):2111-7. Boden WE, Moss AJ, Oakes D. "Hypolipidemic effect of type Ia antiarrhythmic agents in postinfarction patients." Circulation.. 1992 Jun 0; 85(6):2039-44. Oakes, D. and Manatunga, A.K. "Fisher information for a bivariate extreme value distribution." Biometrika. 1992; 79: 827-832. Oakes, D. and Manatunga, A.K. "A new representation of Cox's score statistic and its variance." Statistics and Probability Letters. 1992; 14: 107-110. Moss AJ, Oakes D, Rubison M, McDermott M, Carleen E, Eberly S, Brown M. "Effects of diltiazem on long-term outcome after acute myocardial infarction in patients with and without a history of systemic hypertension. The Multicenter Diltiazem Postinfarction Trial Research Group." The American journal of cardiology.. 1991 Aug 15; 68(5):429-33. Reichman RC, Oakes D, Bonnez W, Brown D, Mattison HR, Bailey-Farchione A, Stoler MH, Demeter LM, Tyring SK, Miller L. "Treatment of condyloma acuminatum with three different interferon-alpha preparations administered parenterally: a double-blind, placebo-controlled trial." The Journal of infectious diseases.. 1990 Dec 0; 162(6):1270-6. Benhorin J, Moss AJ, Oakes D, Marcus F, Greenberg H, Dwyer EM, Algeo S, Hahn E. "The prognostic significance of first myocardial infarction type (Q wave versus non-Q wave) and Q wave location. The Multicenter Diltiazem Post-Infarction Research Group." Journal of the American College of Cardiology.. 1990 May 0; 15(6):1201-7. Fleiss JL, Bigger JT, McDermott M, Miller JP, Moon T, Moss AJ, Oakes D, Rolnitzky LM, Therneau TM. "Nonfatal myocardial infarction is, by itself, an inappropriate end point in clinical trials in cardiology." Circulation.. 1990 Feb 0; 81(2):684-5. Benhorin J, Moss AJ, Oakes D. "Prognostic significance of nonfatal myocardial reinfarction. Multicenter Diltiazem Postinfarction Trial Research Group." Journal of the American College of Cardiology.. 1990 Feb 0; 15(2):253-8. Shoulson, I., Fahn, S., Oakes, D., Lang, A., Lanston, J.W., LeWitt, P., Olanow, W., Penney, J.B. and Tanner, C. "Deprenyl for the treatment of early Parkinson's disease." New England Journal of Medicine. 1990; 322: 1527-1528. Oakes, D. and Dasu, T. "A note on residual life." Biometrika. 1990; 77: 409-410. Boden, W.E., Krone, R.J., Kleiger, R.E., Oakes, D., Greenberg, H., Dwyer, E.J., Jr., Miller, J.P., Abrams, J., Coromilas, J., Goldstein, R., Moss, A.J. and the Multicenter Diltiazem Post-infarction Trial Research Group. "Electrocardiographic subset analysis of diltiazem administration on long-term outcome after acute myocardial infarction." The American Journal of Cardiology. 1990; 67: 335-342. Moss AJ, Oakes D, Benhorin J, Carleen E. "The interaction between diltiazem and left ventricular function after myocardial infarction. Multicenter Diltiazem Post-Infarction Research Group." Circulation.. 1989 Dec 0; 80(6 Suppl):IV102-6. "DATATOP: a multicenter controlled clinical trial in early Parkinson's disease. Parkinson Study Group." Archives of neurology.. 1989 Oct 0; 46(10):1052-60. Shoulson I, Odoroff C, Oakes D, Behr J, Goldblatt D, Caine E, Kennedy J, Miller C, Bamford K, Rubin A. "A controlled clinical trial of baclofen as protective therapy in early Huntington's disease." Annals of neurology.. 1989 Mar 0; 25(3):252-9. Moss, A.J., Oakes, D., Bigger, J.T. (Jr.), Fleiss, J.L. "Diltiazem and mortality and reinfarction after myocardial infarction." New England Journal of Medicine. 1989; 320: 124. Oakes, D. "Bivariate survival models induced by frailties." Journal of the American Statistical Association. 1989; 84: 487-493. Moss, A.J., Oakes, D., Benhorin, J., Carleen, E. and the Multicenter Diltiazem Postinfarction Research Group. "The interaction between diltiazem and left ventricular function after myocardial infarction." Circulation. 1989; 80 Supp (IV): 102-106. Parkinson Study Group. (D. Oakes, Chief Biostatistician). "Effect of deprenyl on the progression of disability in early Parkinson's disease." New England Journal of Medicine. 1989; 320: 1364-1371. "The effect of diltiazem on mortality and reinfarction after myocardial infarction." The New England journal of medicine.. 1988 Aug 18; 319(7):385-92. Stewart S, Alexson C, Manning J, Oakes D, Eberly SW. "Long-term palliation with the classic Blalock-Taussig shunt." The Journal of thoracic and cardiovascular surgery.. 1988 Jul 0; 96(1):117-21. Reichman RC, Oakes D, Bonnez W, Greisberger C, Tyring S, Miller L, Whitley R, Carveth H, Weidner M, Krueger G. "Treatment of condyloma acuminatum with three different interferons administered intralesionally. A double-blind, placebo-controlled trial." Annals of internal medicine.. 1988 May 0; 108(5):675-9. Newhouse ML, Matthews G, Sheikh K, Knight KL, Oakes D, Sullivan KR. "Mortality of workers at acetylene production plants." British journal of industrial medicine. 1988 Jan 0; 45(1):63-9. Oakes, D. "Partial likelihood: applications, ramifications and generalizations". Mathematics. 1988; 80: 67-77. Oakes, D. "Semi-parametric inference in a model for association in bivariate survival data." Biometrika. 1986; 73: 353-361. Oakes, D. "An approximate likelihood procedure for censored data". Biometrika. 1986; 42: 177-182. Gabriel, K.R., Oakes, D. and Odoroff, C.L. "A Master of Science Program in Medical Statistics at the University of Rochester." American Statistical Association, Proceedings of the Section on Statistical Education. 1986; : 24-26. Bazas T, Oakes D, Gilson JC, Bazas B, McDonald JC. "Pleural calcification in northwest Greece." Environmental research.. 1985 Dec 0; 38(2):239-47. Newhouse ML, Oakes D, Woolley AJ. "Mortality of welders and other craftsmen at a shipyard in NE England." British journal of industrial medicine. 1985 Jun 0; 42(6):406-10. Douglas DB, Douglas RB, Oakes D, Scott G. "Pulmonary function of London firemen." British journal of industrial medicine. 1985 Jan 0; 42(1):55-8. Oakes, D. "Self-calibrating priors do not exist." Journal of the American Statistical Association. 1985; 80: 390. Oakes, D. "Mortality study of British pathologists". British Journal of Industrial Medicine. 1984; 41: 189-191. Jones, A.L., Devine, M., Janes, P.R., Oakes, D. and Western, N.J. "Fugitive Emissions of Vapours from Process Equipment". B.O.H.S. Technical Guide. 1984; . Oakes, D. "Survival analysis". European Journal of Operational Research. 1983; 12: 3-14. Oakes D. "Comparison of models for survival data." Statistics in medicine.. 1983 2(2):305-11. Oakes D. "A concordance test for independence in the presence of censoring." Biometrics.. 1982 Jun 0; 38(2):451-5. Fawer RF, Gardner AW, Oakes D. "Absences attributed to respiratory diseases in welders." British journal of industrial medicine. 1982 May 0; 39(2):149-52. Armstrong, B.G. and Oakes, D. "Effects of approximation in exposure assessments on estimated exposure-response relationships." Scandinavian Journal of Work, Environment and Health, Supplement. 1982; 1: 20-23. Oakes, D. and McDonald, J.C. "Restricted cohort study designs". Scandinavian Journal of Work, Environment and Health. 1982; 1: 30-33. Oakes, D., Douglas, R., Knight, K., Wusteman, M. and McDonald, J.C. "Respiratory effects of prolonged exposure to gypsum dust". Inhaled Particles (Annals of Occupational Hygiene). 1982; 26: 833-840. Oakes, D. "A model for association in bivariate survival data." Journal of the Royal Statistical Society (Series B). 1982; 44: 414-422. Allibone A, Oakes D, Shannon HS. "The health and health care of doctors." The Journal of the Royal College of General Practitioners. 1981 Dec 0; 31(233):728-34. Wall LM, Oakes D, Rycroft RJ. "Virus warts in meat handlers." Contact dermatitis.. 1981 Sep 0; 7(5):259-67. Oakes, D. "Survival times: aspects of partial likelihood (with discussion)". International Statistical Review. 1981; 49: 235-264. Oakes, D. "Matched pairs in independent Poisson processes". Journal of Applied Probability. 1979; 16: 780-793. Oakes, D. "On log-linear hazards". Journal of the Royal Statistical Society (Series B). 1979; 41: 274-275. Oakes, D. "Stochastic backtrackings". Stochastic Processes and their Applications. 1977; 6: 95-111. Oakes, D. "The asymptotic information in censored survival data." Biometrika. 1977; 64: 441-448. Oakes, D. "The bivariate Markov process of intervals." Information and Control. 1976; 32: 231-241. Oakes, D. "Random overlapping intervals: A generalization of Erlang's loss formula." Annals of Probability. 1976; 4: 940-946. Oakes, D. "Synchronous and asynchronous distributions for Poisson cluster processes". Journal of the Royal Statistical Society (Series B). 1975; 37: 238-247. Oakes, D. "The Markovian self-exciting process". Journal of Applied Probability. 1975; 12: 69-77. Daley, D.J. and Oakes, D. "Random walk point processes". Zeitschrift fur Wahrscheinlichkeitstheorie und verwandte Gebiete. 1974; 30: 1-16. Hawkes, A.G. and Oakes, D. "A cluster process representation of self-exciting process". Journal of Applied Probability. 1974; 11: 493-503. Oakes, D. "A generalization of Moran's quasi-Poisson process". Studia Scientiarum Mathematicarum Hungarica. 1974; 9: 433-437. Oakes, D. "Regression Models and Life-Tables (Discussion)". Journal of the Royal Statistical Society (Series B). 1972; 34: 20. Author List: Reichman, R.C., Stoler, M.H. and Oakes, D.
Author List: Cox, D.R. and Oakes, D.
Author List: Anderson, S., Auquier, A., Hauck, W.W., Oakes, D., Vandaele, W. and Weisberg, H.